After PyConUS, I visited Edinburgh to attend to the EuroPython 2018, the largest Python conference in Europe, presenting a poster concerning some part of my work during the M.Sc in parallel and distributed computing. I wanted to introduced the library SLEPc, developed in Universidad Politécnica de València, and the bindings for using this library with Python: SLEPc4py, as well as MPI and MPI4py. All the information is gathered in the poster that can be found here. In addition, you can find all the recorded talks in the EuroPython’s channel on Youtube. I’m enjoying these days an amazing experience at PyCon 2018 in Cleveland. A lot of firsts: first time in USA, first time at an international PyCon, first time presenting a poster at a conference like this, and so many more firsts, but this is a great experience that I will remember forever. Thanks a lot to all the people that come to visit my poster and show interest in it!!! You guys do this so big and awesome!! 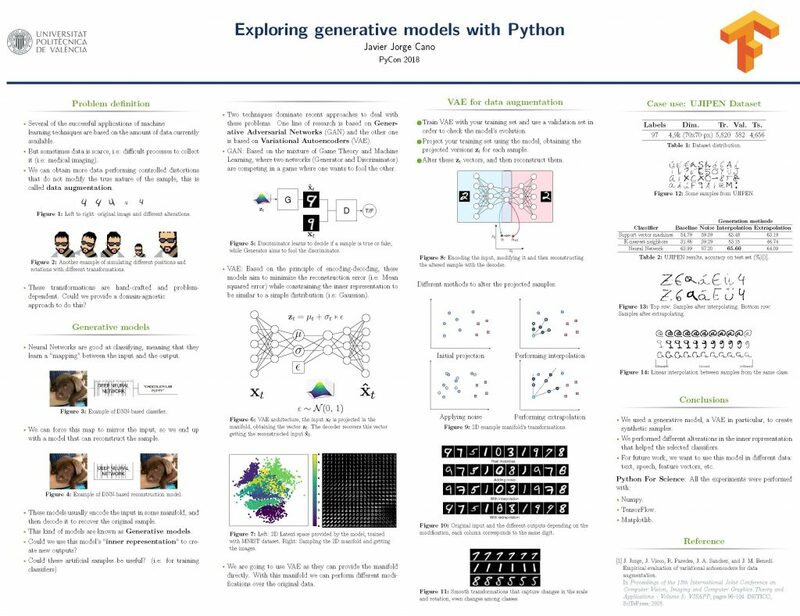 After some requests, I’m going to put my poster available (and the LaTeX sources when I have the time, if someone is interested in) in the following link: exploring-generative-models-pycon2018. And, one more time, THANK YOU for being so kind to me :). The idea of this post is to show how you can deploy a basic TensorFlow architecture to train a model, using AWS and the tool Infrastructure Manager. All the code and scripts are on GitHub. This is the third part of the tutorial to install and configure SLURM on Azure (part I, part II). With this post, we are going to complete the process and we show an example of the execution of one task. This is the second post of the SLURM configuration and installation guide on Azure (part I is here). In this part, we are going to configure the NFS system, and finally, in the third post, we are going to set up the SLURM environment. I got some free time to share this project, the deployment of a workload manager to ease the management of my research group’s cluster of GPUs. As these days I’m very busy, I want to publish just one quick post about something that could be useful in some contexts, that is the use of vector instructions, in particular, the Advanced Vector Extensions (AVX) instruction set from Intel. The project that I want to introduce in this post is a minigame developed with Unity, a powerful game engine, and Vuforia, a library for creating Augmented Reality (AR) apps. This was the final task of the subject “Augmented and Virtual Reality”. 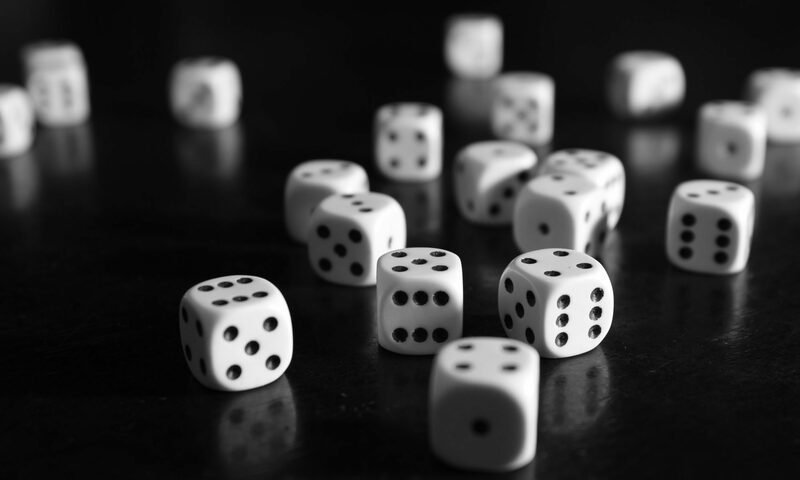 In this game, the idea is throwing stones to hit the skeletons that raise from their graves. It is a very straightforward game, but developing it was enjoyable. The following video shows a short gameplay. About Unity, it seemed a helpful tool that allows you to develop your ideas quickly, obtaining a “multiplatform” app that you can run and test. Considering the number of available assets thanks to both the store and the community, it could be the best option to evaluate if a game concept could work or not. Regarding Vuforia, it was integrated with Unity through its plugin, and it worked very well, providing a fast response even with marker occlusion. I don’t know if the situation is the same with the updates that both tools have received since this project was developed, around 2014, but I strongly recommend using this combination (Unity + Vuforia) for creating your AR apps, even more, considering the attention that AR is receiving nowadays. This is the second post about my Master’s thesis and I’m going to talk about the classifier that we used for this project. Regarding this task, we want to classify the main action that is happening in a video among the available categories in the dataset UCF-101. According to this, I want to introduce the Neural Network model that we used for this task. In this post, I’m going to show you the project that I developed for my Master’s Thesis while I was collaborating with my current research group. The code could be found on my GitHub and comprises the process of extracting features from the dataset UCF-101 using DenseTrajectories, as well as training and evaluating the model.